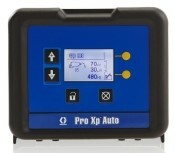 Get the spray performance and transfer efficiency of the manual Pro Xp guns in an automatic version. They’re smaller, lighter and designed to maximize your profits. 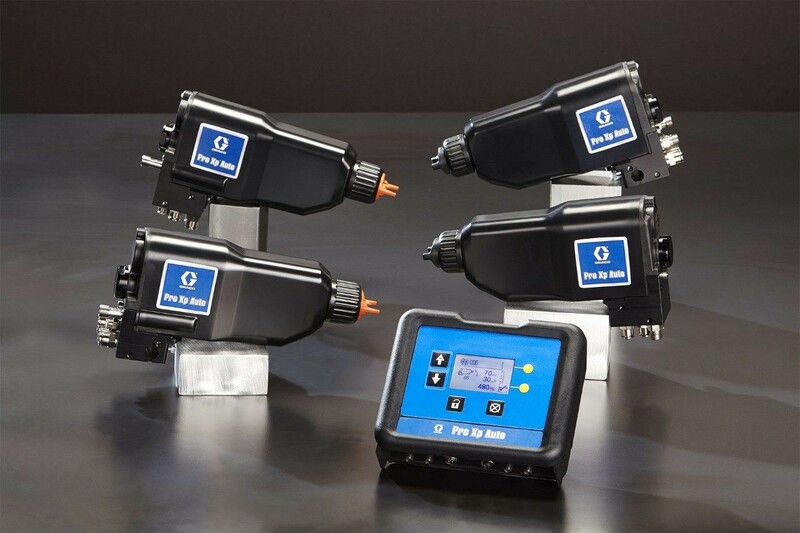 Every automatic Pro Xp gun is tested and delivered with a certificate indicating it meets all of Graco’s requirements for spray pattern, mechanical performance and electrical performance so you know you’re getting a quality product. The Pro Xp Auto smart gun models connect right to the control module so you can see exactly how your gun is performing 24/7. 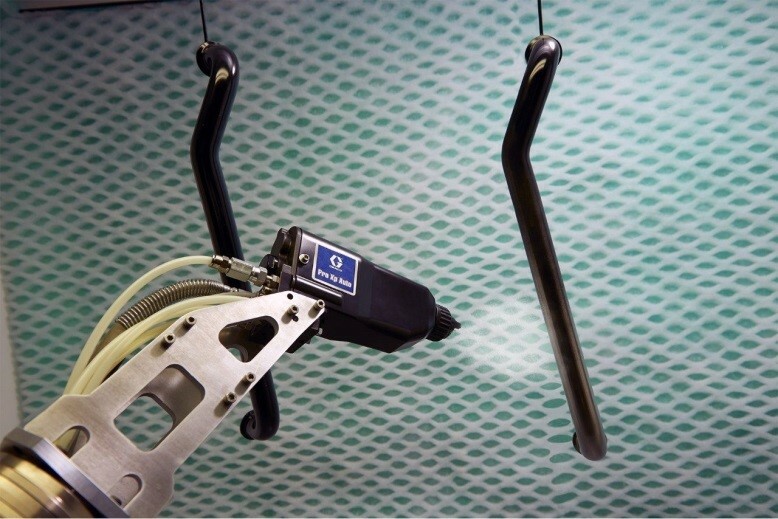 With the control module, you can easily change the kV setting to optimize spray parameters for less touch up and a better finish quality on your parts. Note: Electrostatic guns do not include a control module or fiber optic cable, items have to be ordered separately. 3 megohm/cm to infinity. For a table of electrostatic results at different resistance levels see, Check Fluid Resistivity, page 15 of manual.